Apparently I am always late to the party, and the fact that I just recently picked up my first Bourjois lip crayon only comes to prove it. These little gems have been so hyped up for the past months that I just felt like a really bad beauty blogger for not giving them a whirl earlier. Well I fixed that mistake and now I am the proud owner of the shade Plum Russian, which let me just tell you – is brilliant! Plum Russian is this absolutely beautiful deep reddish plum color, which is an ideal fall and winter shade. You all know that I love me a dark lip during the colder months so when I swatched this I was immediately sold. What I love about this shade is that it could be build up or down, depending on your preference. If I fancy more of a sheer wash of color I just dab the product lightly on my lips and I love the subtle hint of color it gives. It’s amazing that if you want to, you could go full on dark & vampy with this color as well (that’s what I do). The Color Boost crayons have gorgeous glossy finish (while don’t feel sticky at all) and the juiciness it adds to my lips is to die for. 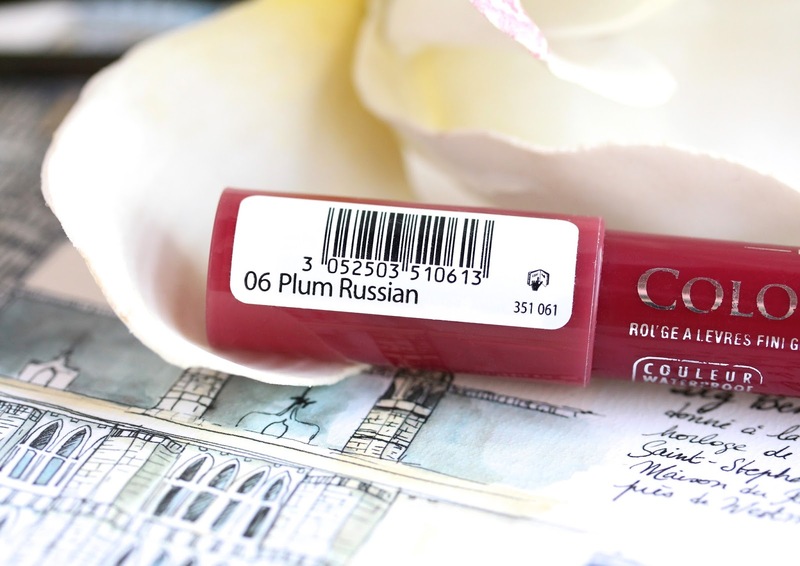 Apart from the beautiful color that I just adore, Plum Russian has also incredible formula. The product is extremely moisturizing and feels super comfortable on my natural dry lips. Big thumbs up from me! It is also not heavy in the slightest and feels like a nice hydrating lip balm, which I love. The crayon is so creamy and soft, doesn’t accentuate dry patches and glides on the lips like charm. As I said, the pigmentation is great as well. Now Bourjois claim that the Color Boost lasts for about 10 hours, which sadly I will have to disagree with. The glossiness disappears around the 2-hour mark on me but that’s to be expected from such a glossy finish. However, Plum Russian does stain my lips for some good five hours, so it’s fine by me. The crayons also have SPF of 15. Score! 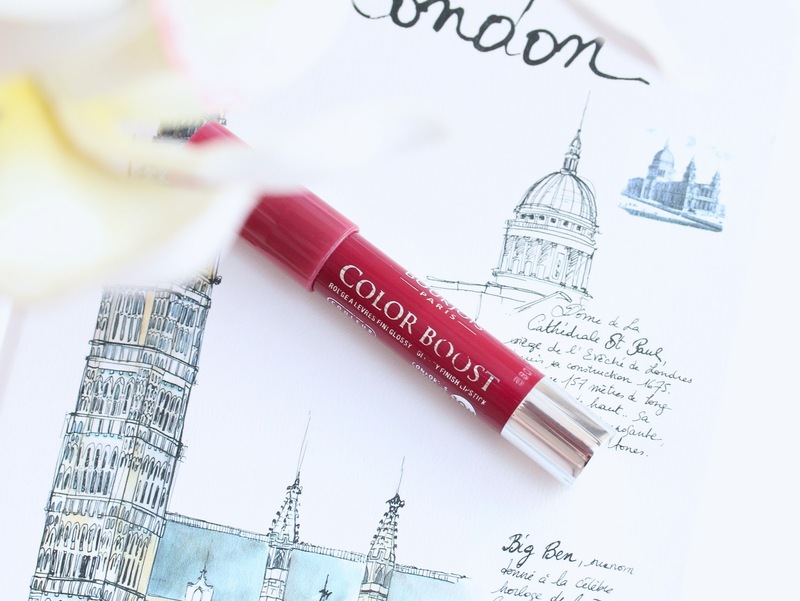 Have you tried the Bourjois Color Boost lip crayons? Which is your favorite shade? Looks lovely on you.. I love these berry colours! 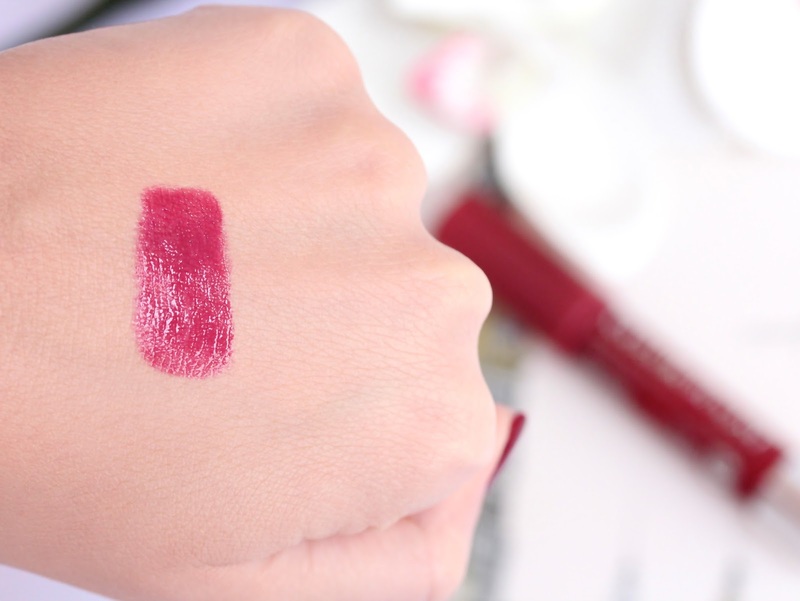 wow what a beautiful berry colour :) I really want to try their lip crayons now! I've been dying to try these out - I have my eye on Peach on the Beach! Every time I go to the shop though they're always sold out! Plum Russian looks absolutely stunning though! Es un color precioso, yo estuve a punto de comprarme uno que es color coral. Great post - I think your photography is absolutely stunning (any tips?!). I also love the product, the colour looks perfect, as does the formula. I may have to go and check it out! This is a lovely shade, its so glossy! 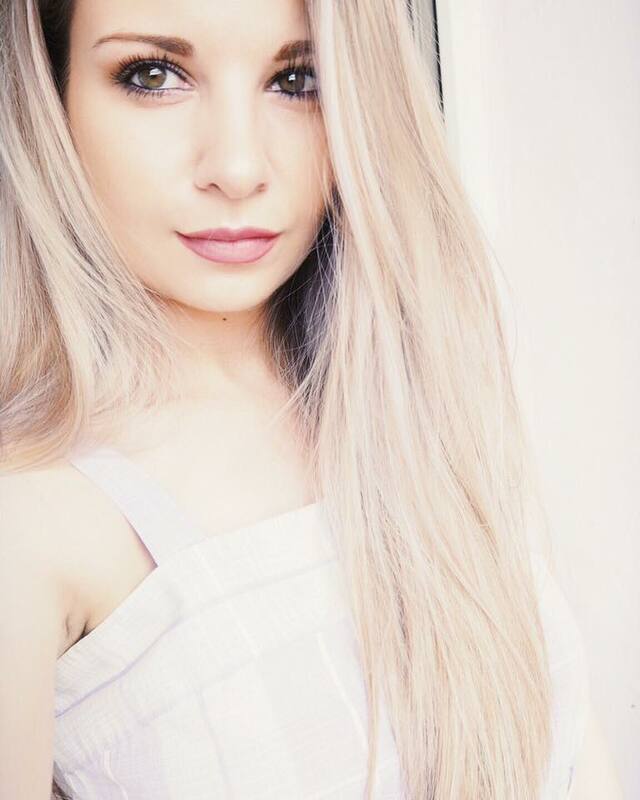 Such a lovely shade and it looks so pretty on you! That shade looks absolutely gorgeous on you. I need to pick up one of this. The berry colour is gorgeous. I need to try them now ! Ooh that looks like a lovely color with a nice sheen..too bad ill never get tov try it since these aren't sold in the states ! (I don't think..) . Its nice that there's spf on them. What a gorgeous colour, looks good for everyday wear! Really want to try this type of lip product. Looks lovely on you, your swatches are always spot on. 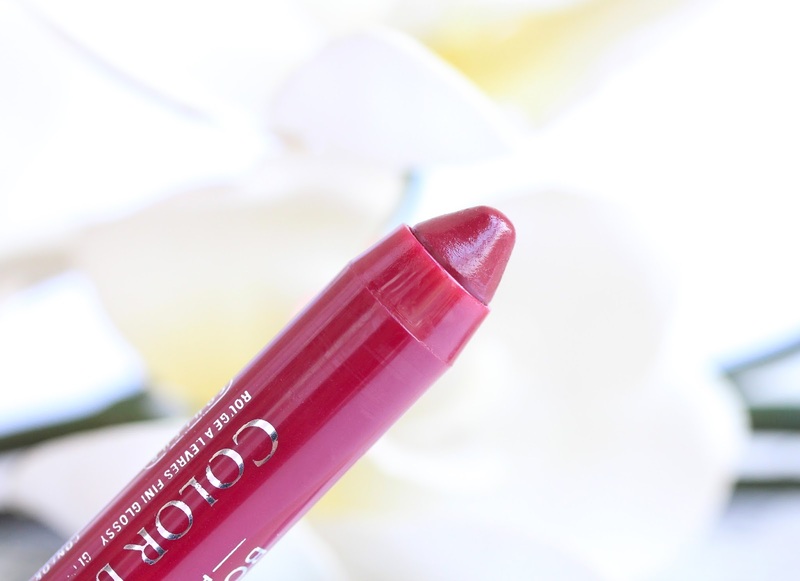 I haven't tried any lip 'crayon' type products yet, this might have to be my first! I still haven't tried these lip crayons yet haha, I really need to though. This shade looks gorgeous and it's definitely the first one I'll pick up once I finally get round to buying one! This is a gorgeous colour but I can imagine i would move around my face a lot leaving me with lipstick on my nose because of the glossy finish! Lip crayons are my number one priority for a new lip product! This is such a gorgeous colour! I found a drugstore near where I live with a bunch of Bourjois products! So excited to try it all out! I haven't tried anything from the brand, but it looks super pretty! What a pretty color! I've been looking for a new lip color, may just have to give this a try! it is a perfect color as possible to wear in summer and winter as well. This colour boost is gorgeous, I have several of the others but may have to try this one too! Страхотен цвят! Точно такъв си търся от известно време.